Some people value certain assets and characteristics above others. It is a part of life that an object can be viewed by two people and seen completely differently by both. When purchasing a vehicle, the customer will scour the web and car publications with certain parameters. The family-orientated customer will look for a vehicle with ample space and boot size. The businessman/woman will look for fuel economy. Different strokes for different folks. Mesut Ozil suffers as a result of this. Fans expect desire from a player. Extortionate wages mean that a player showing passion is a prerequisite. Seeing as how our German playmaker is so laid back he is almost horizontal – this has led to a belief that he is lazy and doesn’t deserve a slot in the side. The old adage ” Never judge a book by its cover ” is never truer than when surveying the impact Ozil has on a game. 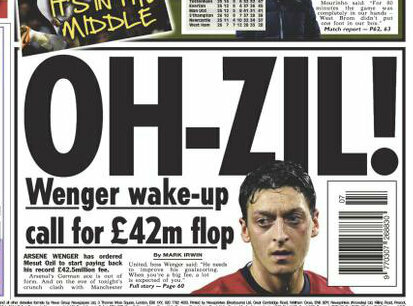 The view that Mesut was lazy was so widespread, that the majority of the media started to latch onto it. Then, after investigation, a startling discovery was made. Ozil is not lazy. Quite the opposite in fact. He has ridiculous stamina levels and is often top of the charts when it comes to distance covered during a match. So surely then, the myth has been dispelled and we can now all appreciate the silky skills he adds to our side? Unfortunately not. Now, the stick used to beat our German playmaker is that he doesn’t add enough to games, that with his pricetag and sterling reputation, he should be changing games with his finesse. Why doesn’t he score goals? Why isn’t he providing goals every game? All credit to Ozil, he has mentioned his inferior goalscoring record and admits it isn’t up to scratch. His assist record can be attributed to one thing – the profligacy of our strike team. The amount of chances he creates is evidence of this – he was top of the charts in terms of chances laid on for team mates. His unerring radar for finding his colleagues on the pitch is still intact and is in rude health. 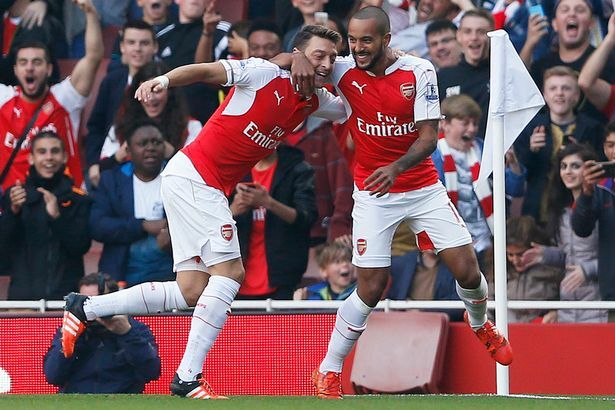 In fact, now that Theo Walcott is providing runs in front of Ozil, we are seeing a framework that ideally suits him. It is quite frankly tiring to defend a player who is performing well, game after game. Because he doesn’t skin a player and then blast it into the top corner, then he isn’t adding anything to the team? How often is it that Mesut provides the catalyst to goals, to eke out a slice of space for a player to run into, or pull a defender out of their shape so a teammate can run in behind? He keeps the attack ticking over, his perception is brilliant in terms of finding colleagues. He makes the ball do the work. He doesn’t track back, but do we want him to? Do fans of Barca want Suarez and Neymar to rush back to retrieve possession? Do PSG fans want to see Ibrahimovic’s ponytail bobbling in an effort to retrieve possession in his own half? No. You want your danger players in the ideal position to cause maximum damage. With our liquid-esque counter attacking, I want our midfield to find Ozil in a place where with a deft flick of his boot, he can find Alexis, Theo or Giroud to score. Plus, he does tackle. He’s no Coquelin though. I released an article a while back stating that Ozil suffers from comparisons with Alexis Sanchez. The Chilean’s all-out action style is in complete contrast to the German’s languid body language. Far from highlighting the disparity between the two men, their opposing techniques actually dovetail quite beautifully and you can see whenever a goal is scored how much they appreciate each other. If I cannot convince you, maybe Theo Walcott can. I’ll leave you with his comments on Mesut Ozil. He can do it anywhere on the pitch, he’s a threat from anywhere,’ the striker told Arsenal’s official website ahead of Sunday’s game against table-topping Manchester United at the Emirates. 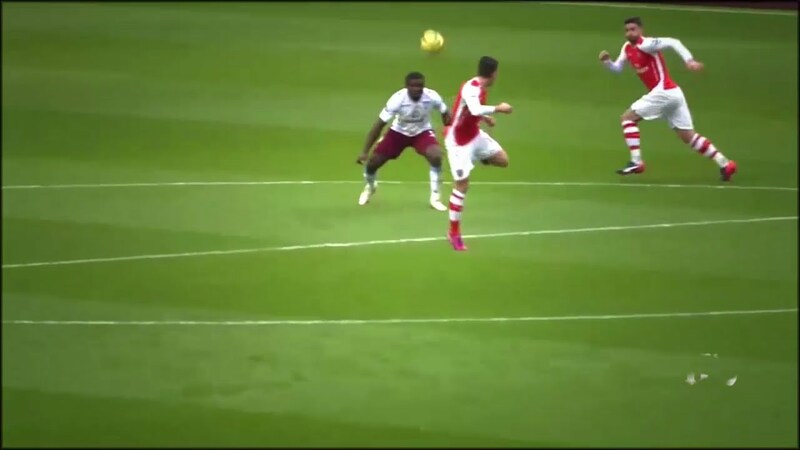 Mesut’s involvement in the Stoke goal sums it up and also shows what he can do for this team. He makes football look easy and he’s a special player. When you’ve got that in your dressing room you can build on it. The first thing he does when he has the ball, in fact when he hasn’t even got the ball, is that he looks. ‘He looks first before he gets the ball and he knows where he’s going to play it before he’s even got it. That just shows the sort of quality we have in this team. Good observation my man. you seem to be a good soccer analyst and a great arsenal fan.